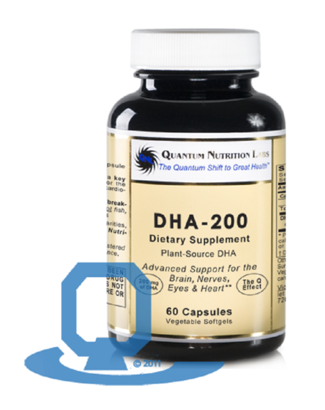 Plant–source dha is a quantum breakthrough that is derived from algae instead of fish, making it suitable for everyone, including vegetarians or vegans. feed your brain with high quality, plant-source dha (docosahexaenoic acid), a key omega–3 fatty acid, important for the brain, nervous system, eyes and cardiovascular health. Sunflower oil, ascorbyl palmitate, sunflower lecithin, tocopherols, rosemary extract, vegetable capsule (corn starch, glycerin, water, carrageenan, sorbitol, beta-carotene, caramel color). 60 caps (dha each 200 mg).